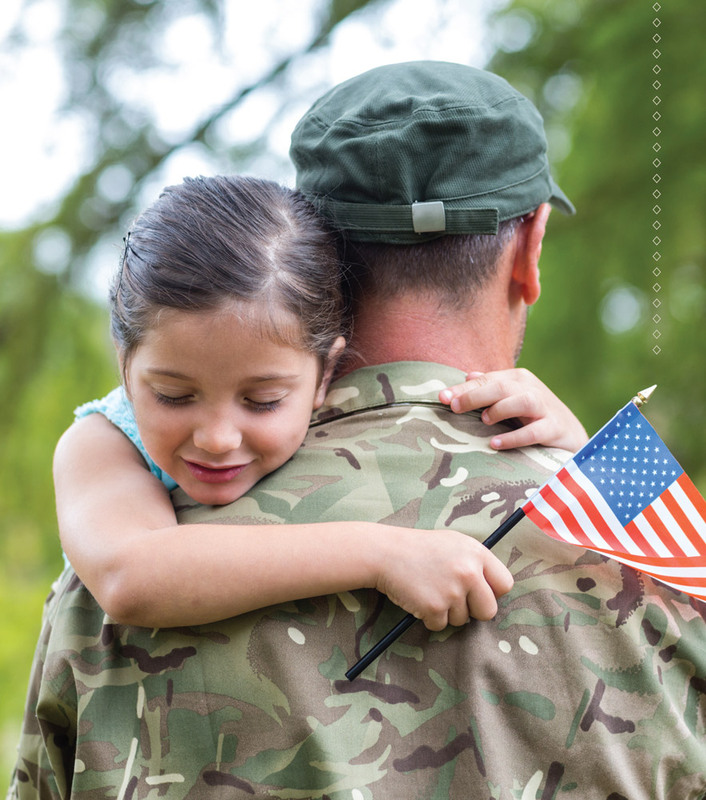 After hearing about a local member of the U.S. armed forces who'd been injured while serving in Iraq, I decided in 2008 to donate my time to provide dental care to the family members of these injured veterans. I'd assumed that the U.S. Department of Veterans Affairs provided care to the vets themselves. However, after I learned that most veterans aren't eligible for dental benefits, we included veterans in our outreach as well. Every year, I closed the office for a day and scheduled a one-hour appointment for each low-income war veteran. These veterans often traveled great distances to have their urgent needs addressed. But I worried about their other, imminent dental problems. I knew that once they left my office, they'd have to wait for some other opportunity to address other issues, and likely would never have the chance to be fully restored. Our war veterans can have a long and difficult road back home and we can certainly contribute dental health to their lives. So I approached dentists with practices near to where these patients lived, asking the clinicians if they would consider continuing the veterans' dental treatment. Most were pleased to have an opportunity to give back—and to establish an avenue for future, paid maintenance care. Soon we'd formed a network of more than 100 dentists, specialists and labs, located mainly in Washington state. Buoyed by the positive response and the power of the Internet, I agreed to assist with requests from veterans in other states, too. The process was slow and challenging, but in February 2016 the Pierre Fauchard Academy endorsed this program, and may be of great help in connecting vets to volunteer dentists across the nation. Many states have wonderful programs or "stand down" events that provide veterans with access to care, but most such programs or events address only urgent needs. But the veteran populace is massive, with varying access to dental care. True, some patients want to have only their most urgent needs addressed—their lives might still be in turmoil, they may be homeless or transient, or still dealing with drugs or alcohol, and generally not mindful of comprehensive dental health. Others are more stable but perhaps in a low-income situation—working at low-wage or part-time jobs, going to school, or even retired. This group might not qualify for Medicaid because they "make too much." We hope to give these veterans not only comprehensive dental care, but also peace of mind regarding their dental health. In some cases we provide mainly preventive treatment, to help them avoid falling into disastrous dental conditions. After veterans fill out an application on our website, we verify their low-income status, and that their deployment history includes a war or conflict area. Two phone interviews help set expectations. We get waivers signed, and then we look for a local dentist who'd like to honor the veteran (or a veteran's family member). 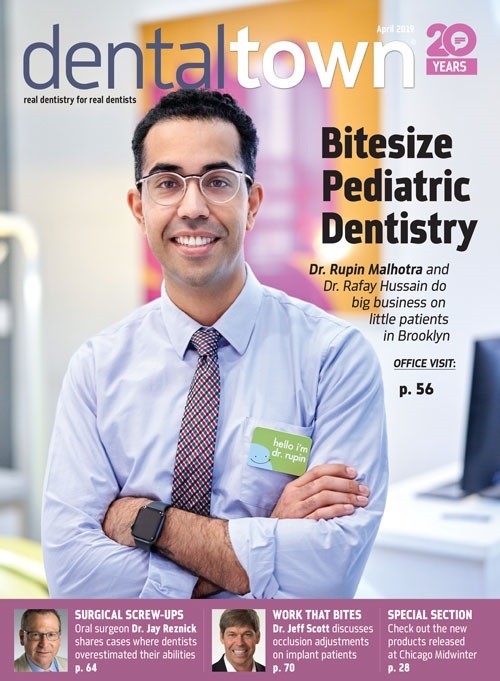 This all-volunteer program clearly illustrates the importance of dental health, as well as the healing power of the relationship between doctor and patient. The trust, honor and social aspects are powerful healing factors, just like the dental work. I've heard from many veterans how much healthier they felt after their treatments—not just because they're able to eat vegetables again, but also because the experience helped restore their faith in humanity. It is easy to join this effort. Just go to serveourvets.weebly.com and click on "How You Can Help." Add your information to five short fields and you'll be notified via email when a qualified, low-income war veteran in your neighborhood is in need of your assistance. You can accommodate the patient at your convenience, and will be assigned just one per year unless you request otherwise. This is an easy way to honor these war heroes! Visit serveourvets.weebly.com for more information. 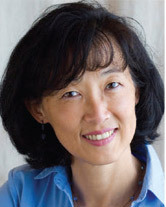 Theresa Cheng, DDS, a 1985 graduate of Grad Perio of University of Washington, had a private practice limited to periodontics and implants in Issaquah, Washington, until 2013. 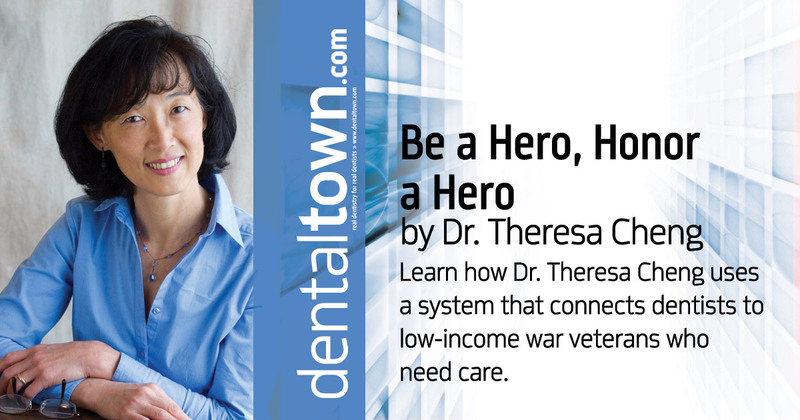 She now advocates for dental treatment for veterans, and volunteers with the dental van for Medical Teams International. She is on the Emeritus Council of Washington Women in Need, advocating for health and education of low-income women.